The PonoPlayer will have 128GB of storage, which the makers say is enough to save between 100 to 500 high-quality albums, and will be made available for pre-order later this week. SMARTPHONES MAY HAVE all but replaced the MP3 player for playing music, but one music artist believes there’s room for a high-quality version. Neil Young is set to unveil the PonoPlayer, a device dedicated towards playing high-quality music at SXSW tomorrow, and will launch a Kickstarter campaign later this week. While MP3 files are small, their compressed size means the sound quality isn’t as sharp as WAV files. The player will cost $399, making it a cheaper alternative to the many hi-fi music players out there, and will ship with 128GB of storage, which the makers say is enough to save between 100 to 500 high-quality albums. It will also offer expansion via memory card and will feature an LED touchscreen in addition to its three physical buttons. PonoMusic will be made available for pre-order through Kickstarter on 15th March. 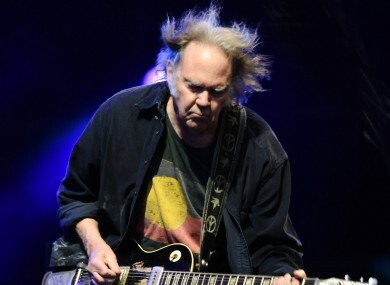 Email “Neil Young set to release his own hifi music player on Kickstarter”. Feedback on “Neil Young set to release his own hifi music player on Kickstarter”.